The new head of the University of Melbourne visited the campus on Friday 1 February. Speaking to local newspaper Shepparton News, he said the campus delivers in-context learning for students interested in agricultural production. 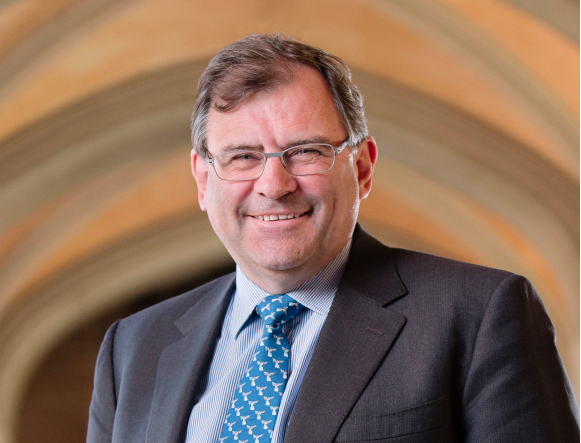 Professor Duncan Maskell, University of Melbourne Vice-Chancellor. “The really good thing about this place is the way that we can have great students in one of the top universities in the country also spending time in a rural environment and learning about agriculture in the place where it really happens and embedding in the industry,” he told the Shepparton News. “If you’re sitting in a lecture theatre studying wheat varieties or whatever it is, it’s just a picture on the wall; but if you get out in the country and see a big field of it growing then you really understand what it’s all about. Read more on the Shepparton News website. Professor Maskell commenced as Vice-Chancellor on 1 October 2018. A Cambridge graduate and research specialist in infectious diseases, Professor Maskell’s career also includes the University of Oxford, Imperial College London, and Wellcome Biotech. While at Cambridge, Professor Maskell held a number of leadership roles, including Head of the Department of Veterinary Medicine, Head of the School of the Biological Sciences, and the Marks and Spencer Professor of Farm and Animal Heath, Food Science and Food Safety at the Department of Veterinary Medicine. He led a large research group investigating bacterial infections of livestock and people, has published more than 250 research papers, is a Fellow of the Academy of Medical Sciences and an Honorary Associate of the Royal College of Veterinary Surgeons – the highest honour bestowed on a non-veterinarian.